Okay, so when I created this title it was pretty original, I even chuckled to myself at how witty I could be. Then, in the time between me writing it and revisiting it in my drafts, it had been done a zillion times. 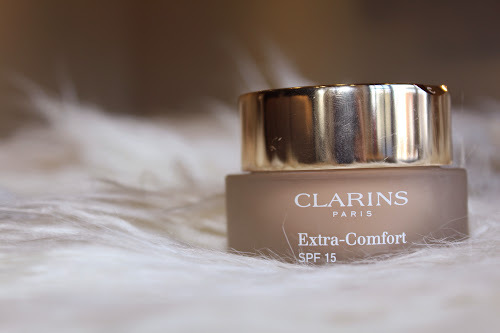 But who cares - I like the song and this post is 'all about that base'.... Clarins Extra Comfort to be exact. Believe it or not I had no idea this foundation existed. 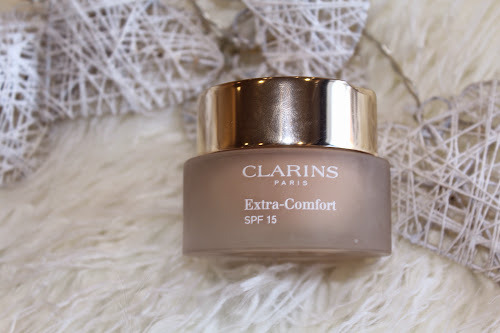 I seriously must have been living under a rock, as I've since found it's probably one of the most blogged about foundations of.... 2013 - Oh. A little late to the party I may be, but totally in love with this foundation I am. After some colour matching at the Clarins counter, I decided on shade 110 / Honey. 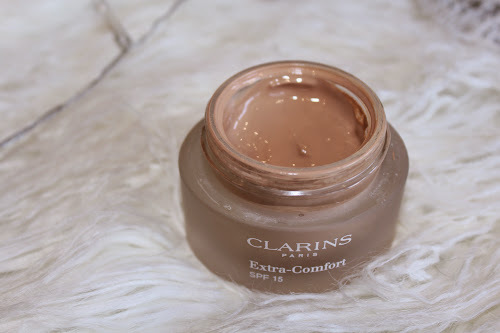 I find that Clarins products generally tend to be a little pink toned for my complexion, so it's not 100% my colour but its still a fairly good match. That is my only gripe. Actually, that and the ridiculous pot it comes in. Clunky, heavy glass that's totally unhygienic and impossible to carry around (V annoying when the main reason I purchased was to wear on flights) But pretty on your dressing table none the less. it's worth the extra effort though, as once on it easily lasts a good 8-10 hours with no dry or uneven patches. It genuinely looks as fresh 8 hours later as the moment you applied it. I find it works best when applied with a dampened beauty blender, it seems to melt into the skin this way and is best stippled on, rather than rubbed in. I've also tried it with a densely packed stippling brush and that worked equally well. 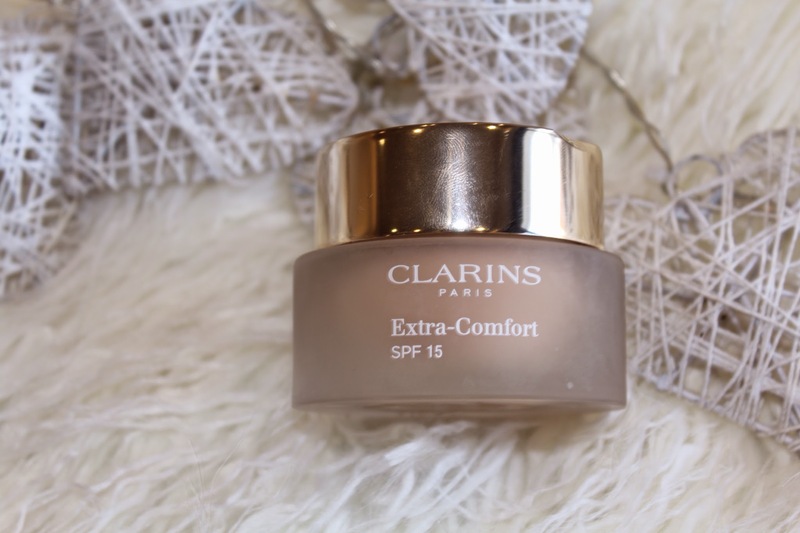 I find this foundation absolutely perfect for flying, and I can imagine it would be especially brilliant for people with a drier skin type or mature skin. The cabin environment is obviously very drying, and no amount of moisturising can counteract it - not when you have to work in a full face of slap anyway. The foundation cost £46 from House of Fraser, on the pricy side but you get a really decent amount and a little goes a very long way. I already know this is a foundation I'd repurchase, and if your in the market for a new foundations I suggest you try this out! And here I am wearing the foundation, so you can see the flawless base it creates. In the first photo I have all my eye make-up etc but no foundation, and in the second I've applied Clarins Extra-Comfort and contoured. Voila! Have you tried Clarins Extra Comfort? What were your thoughts? This sounds like an amazing foundation :)I love your blog and I have followed you with Bloglovin. If you ever get a chance to check out my blog I would be delighted, thanks! This sounds like a lovely foundation! You should try it! I love it even more since writing this post!